Need a “Regina?” I work exclusively for Speakers and Authors. Only need a couple of hours of project-based work? $135 per hour with a minimum of 2 hours and up to 4 hours. Tasks must be assigned within 30 days of receipt of payment. No exceptions. (See important note below). Ready to purchase your retainer package? Click here to pay and allow up to 3 hours for an email confirmation receipt. The primary question I get is “how much do you charge?” This can be a tricky question because every need is not the same. That’s why it’s important that we talk about your needs, goals, and the end result you’re looking for by working together. Important: This is a complimentary consultation. If you’re not serious about investing in yourself then please don’t book a call. Wait until you’re ready. 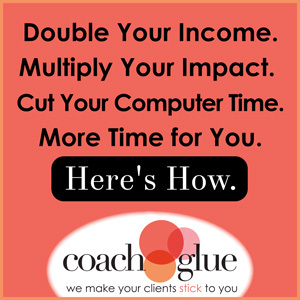 Contact me for a complimentary 15-minute chat to discuss your needs. We post your daily message, comment and monitor your linked in profile. Ask me about my WordPress maintenance package! Rates starting from $97 & up. Contact me to discuss rates. I charge a 25% surcharge for rush jobs that are given with less than 24 hours’ notice and a 50% surcharge for rush jobs that occur in the evenings, weekends and holidays. I reserve the right to refuse rush jobs if I am unable to meet the demands of the project scope and will do my best to find an alternative solution if possible. Note: Your invoice will read, Computerize UII Once your payment has been received, I will contact you within 4 to 8 hours to schedule a conversation.